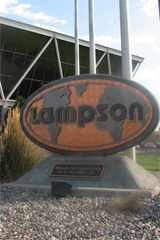 At Lampson, we pride ourselves on being a leading national provider of heavy lift and transport services, with more than 60 years of industry experience behind us. 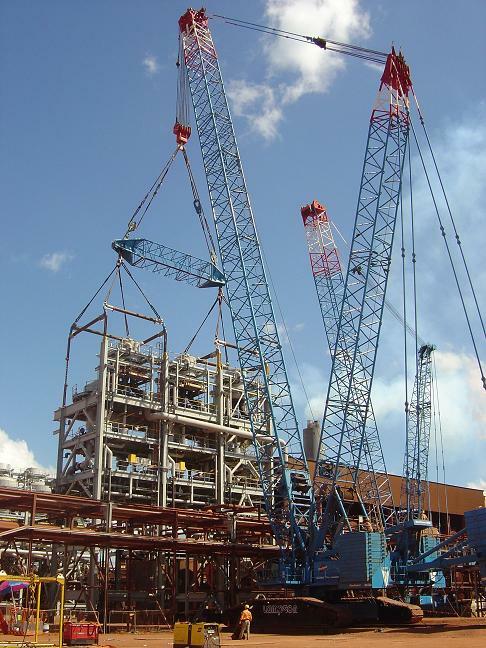 Our national network regularly services the civil construction, mining, energy and petrochemical sectors, providing a complete lifting and shifting solution. 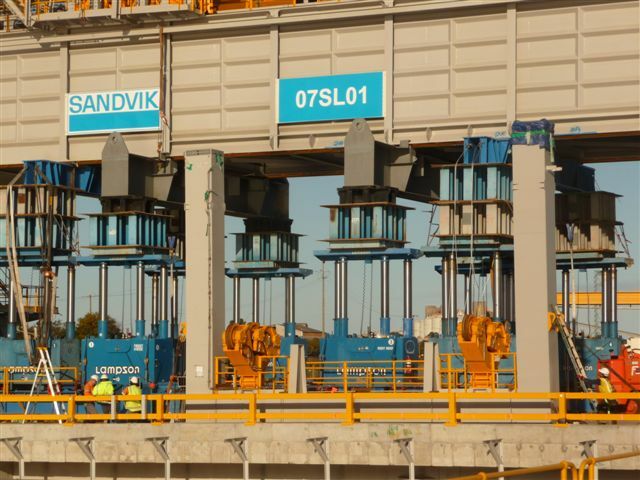 We have a modern crane hire fleet and maintain our equipment regularly to ensure it's safe and performs in optimal running order, to minimise the chance of onsite breakdowns. All of our equipment is also serviced to manufacturers' standards. 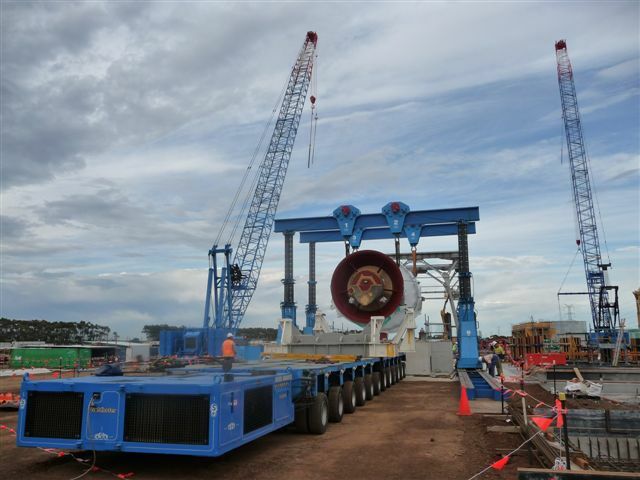 Our crane company has a fleet with the capabilities of heavy lifting and shifting loads from 30 tonnes through to 3,000 tonnes, enabling us to efficiently support our clients' heavy lift and transportation demands, both small and large-scale. 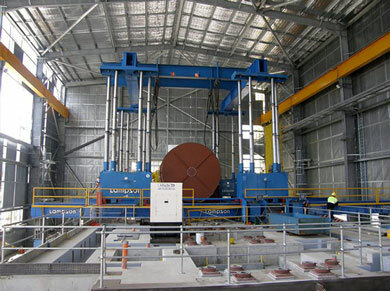 We operate throughout New South Wales, Victoria, Queensland, South Australia, Northern Territory, Australian Capital Territory (ACT), Western Australia and Tasmania. Some of our primary areas of operation are: Perth, Gladstone, Sydney, Townsville, Toowoomba, Karratha, Rockhampton, Newcastle, Brisbane, Mackay and Bundaberg. 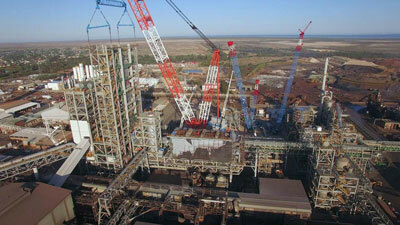 We also have offices in Karratha, Toronto and Muchea. 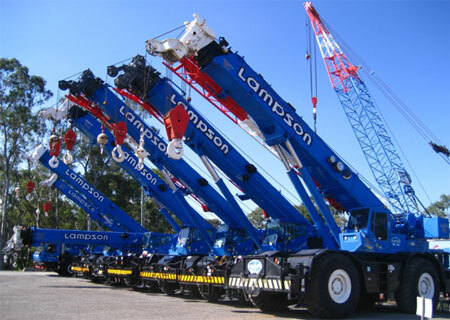 Lampson offers a huge range of heavy haulage and heavy lifting equipment for hire permanently located throughout Australia. 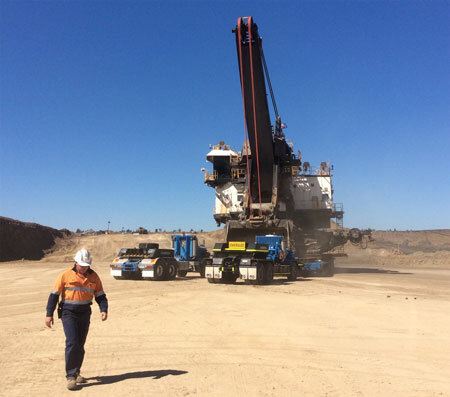 With depots accessibly located in Muchea near Perth and Karratha in Western Australia as well as Toronto in New South Wales and Calliope in Queensland, we can easily service your project’s requirements nationwide. 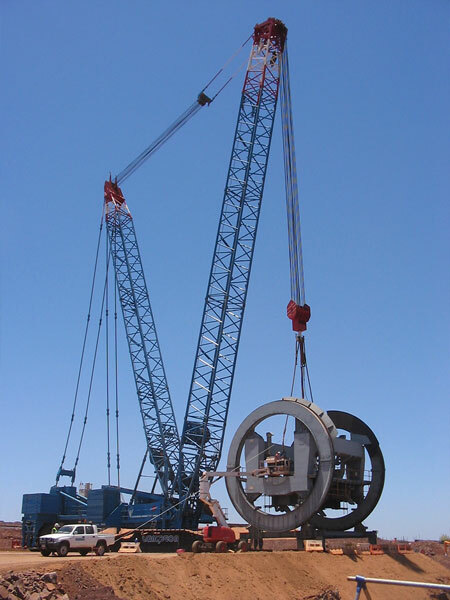 Whatever scale your project, we can supply the equipment and experienced operators to complete it efficiently, on deadline and budget. 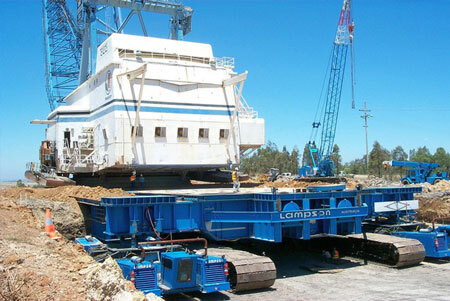 Our large fleet of crawler cranes, truck mounted cranes and rough terrain cranes for hire are modern, well maintained and serviced to manufacturers standards. 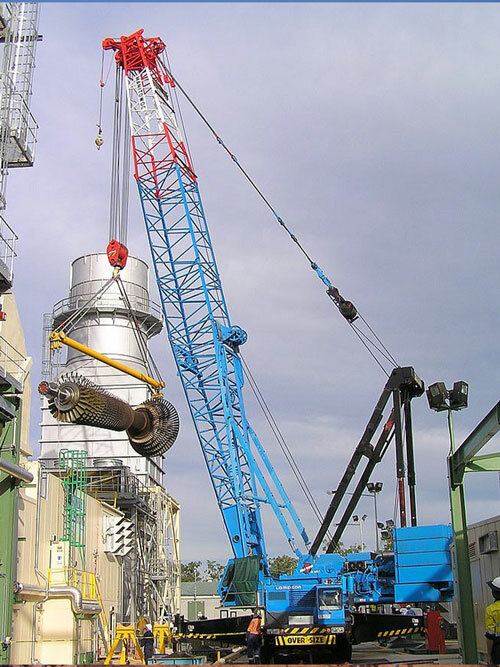 We also offer additional services, such as project management, feasibility studies and turn-key operations for lifting and transportation co-ordination. 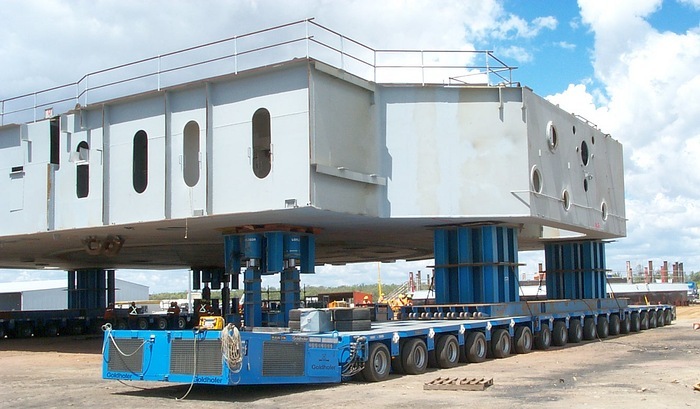 Our team is experienced in delivering a range of heavy lifting services and support for a wide variety of projects. 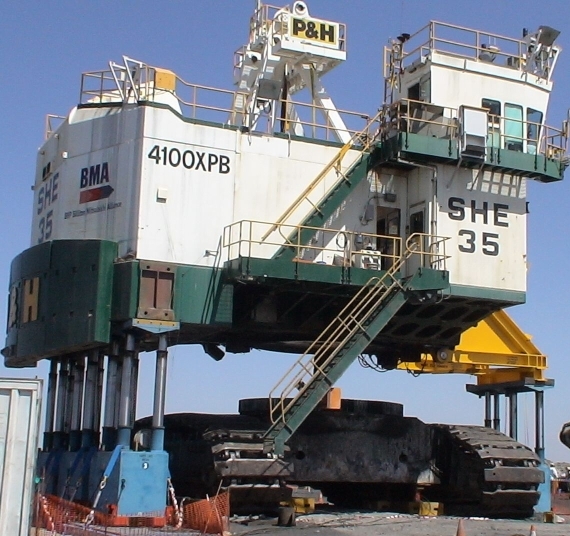 We offer comprehensive project management, engineering, fabrication, and design solutions. 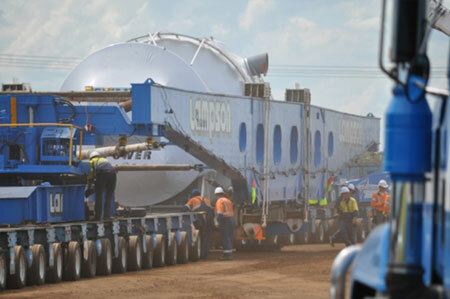 Lampson provides a wide variety of heavy haulage and turn-key project transport logistics solutions. 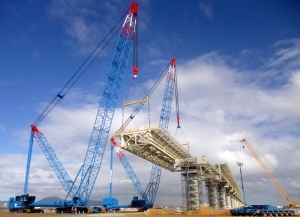 As heavy lift, transport and logistics specialists, we carefully source our crane operators and rigging personnel based on their experience and versatility across all types of projects. We only hire machinery operators and riggers who are fully ticketed and are dedicated to offering the highest standard of service and attention to detail onsite. Our personnel abide by best practice standards and procedures for environmental risk management and safety, which is vital when working in different terrains and conditions. 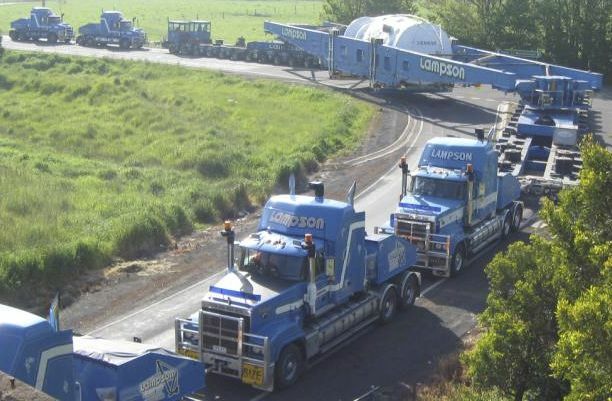 A subsidiary of Lampson, Lampson Pty Ltd, has been established for over 20 years specialising in over-sized and heavy load transport. 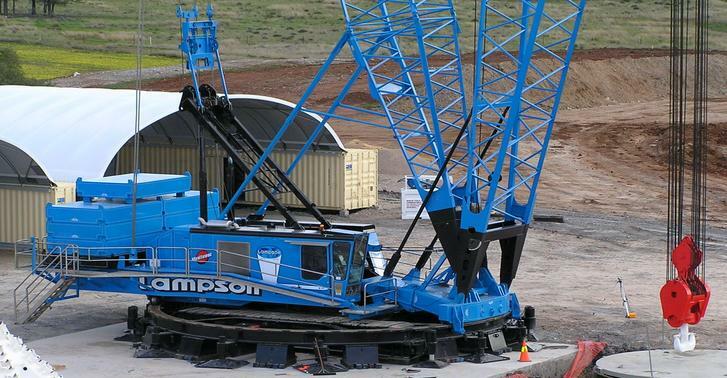 Lampson provides comprehensive logistical solutions for both on and off-road environments, with a proven success rate that's recognised nationally. 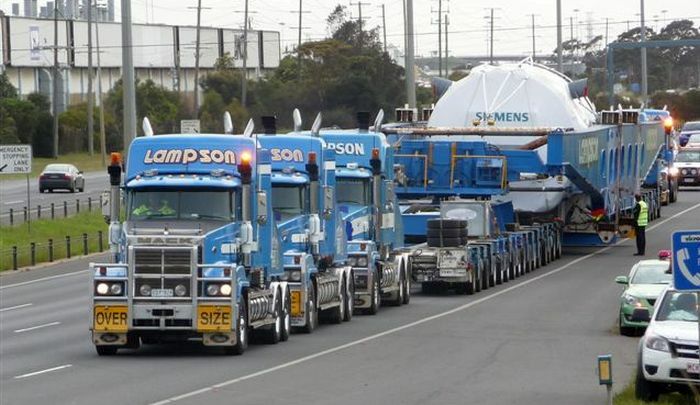 To ensure safe and efficient load transport, Lampson offers background engineering studies such as route surveys and engineering reports, engineering transport configuration drawings, consultation pre-project and project management services, as well as state or infrastructure owner transport permits. HAVE A QUESTION? WANT TO CONTACT US? Get a personalised quote from us today!